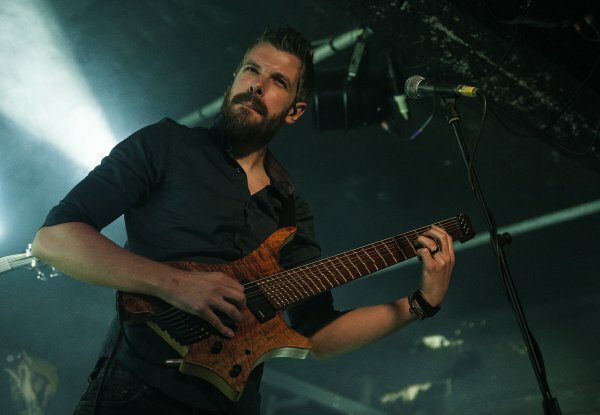 On their tenth anniversary Haken find themselves well established as leaders in the heavier progressive market. Could be a pressure or a curse yet they seem to be revelling in the fact that new challenges lie ahead. For now though, they are proud flag bearers with a catalogue whose fledgling recordings are as relevant and impressive as their most recent work. A band, too, who have earned the respect of their peers. 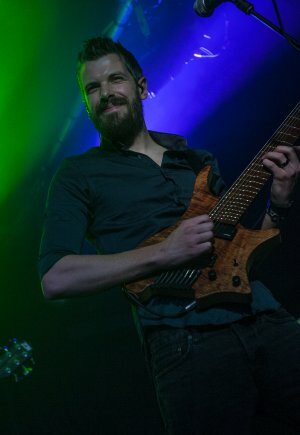 They’ve become Mike Portnoy’s backing group for his Shattered Fortress project so it’s maybe no surprise that they’re shepherding Next To None which includes Max Portnoy, on their European dates; even Richard Henshall was spotted carrying flight cases as they packed up after their opening set in Manchester. In a recent top 100 prog songs poll in a certain prog related magazine, in terms of entries their name is up there with Genesis, Yes, Crimson and Marillion. It’s not just talk though – Haken walk the walk and now they hold the crown, the key is to decide how they maintain their status. 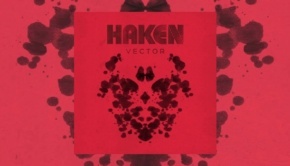 One thing is for sure, for all their admiration for the eighties incarnations of their heroes in Yes and Genesis and the like, you just can’t visualise Haken going down the road marked ‘chart fodder’. As The Endless Knot says, they fall back on their instincts which have seen them charting a pretty true and impressive course so far. Impressive too is the number of strings on show on the guitars as they romped through a set designed to showcase their ten years together and one which showcased the fact that, as mentioned earlier, both Aquarius and Visions from their early days have some fantastic music which they are equally proud to show off rather than hide away or denounce. 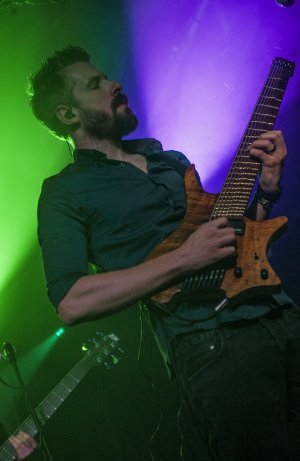 It’s perhaps the Visions title track or the Aquarius medley which are the set highlights of the current tour, a tour which is being rapturously received and, to be fair to Haken, deservedly so. It feels like such a long time ago that we recorded those albums but Jens Bogren, who’s remastered the albums, has really given them a new breath of life so they almost feel like different albums now. 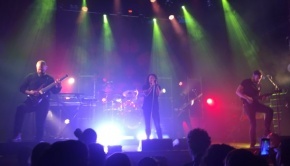 But yes, it is slightly strange as we’re still on the tour cycle for Affinity but I guess it’s good because on the tour we get to play songs from both eras really. …was how he described the reasons for explaining where the impetus for remastering came from. We thought we’d get Jens involved as we were massively happy with the work he’d done on The Mountain, Affinity and Restoration and we also thought it was a good time to release them on vinyl – all the other releases are on vinyl, these are the only two that weren’t. It was the ten year anniversary so it seemed like the perfect time and of course we get to go out on the road and play the songs live again. It’s crazy! It all started with just Ross and myself and a good friend of ours Matthew Marshall who’s no longer in the band, just jamming in each other’s bedrooms and we never really thought we’d be doing it ten years later. We were only fifteen and sixteen at the time and never really thought it could go this far, but even now looking back it still feels like we’re almost at the beginning of the journey and we have a lot more ground to tread, things to accomplish. There are still things I want to achieve with the band but it’s still an honour to be able to go out on the road and have the people there. As the main writer for those first two records, Richard is perhaps in the best position to appreciate what’s been done to the music. The previous mixes were great and at the time we loved it – even now – but he’s brought out more of a modern edge, but the main difference is in the size. It has a bigger stereo image which gives more clarity to the music. 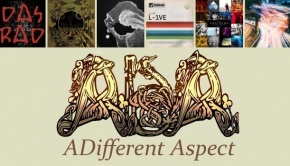 When you listen you can hear everybody’s individual parts, and another thing about the new releases is that we’re putting out an instrumental disc as well so it gives people a chance to hear things they may not have heard on the original recordings. It was an idea we got from Affinity really and people seemed to receive that quite well so we did it again. 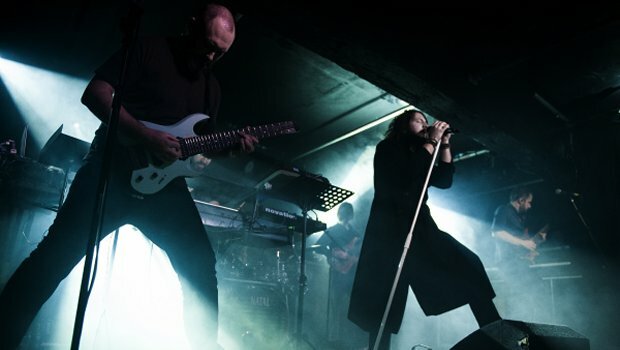 The band seem to be happy to hand control to Bogren – almost a perfect working relationship. What we had was a bunch of stems from the original recordings so he had a lot of control in terms of different frequencies. We told him we wanted it to sound as big as he could make it which is basically what he’d done with our previous stuff. He has a knack for taking our music and making it larger than life and almost realising what we have in our heads. There are various sections within the songs which might have big opening chords or some quite anthemic sections and he’s done a really great job of expanding that sound. He’s so efficient – we can give him a song or the parts of a song and it’s pretty much bang on how we want it to sound. We don’t even need to give him much guidance, he just has this ability to be able to realise what your vision is without you even saying it. They managed to resist the temptation to tinker with anything – knowing how songs can evolve over time with performance. After writing an album you can always look back but and wish that you could have done something different but it’s important that you have a path that you can move on from, so while there might be things that you might want to improve I’m quite happy and proud with the way that they came out. If you compare the first two albums to The Mountain or Affinity they sound completely different but that’s because we’re evolving constantly as a band. It’s almost like a window into that period of your life and you get to look back on it and think about how it’s very different to now, but that’s who we were back then and it’s important to acknowledge that. But going back further than those two albums we had a demo back in 2007/8 – the quality of the recording is pretty abysmal but we get a lot of love from them even though we look back and wonder ‘what were we thinking?’! 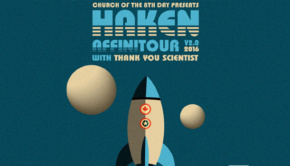 As well as the imminent Cruise To The Edge experience, there are some long awaited U.K. dates to look forward to on the ‘Haken X Tour’ – the Affinity tour took in mainly Europe but with the tenth anniversary there are plans afoot.